Jason Bird is an illusionist, magician, and TV host creating experiences that inspire audiences world-wide. Based in Las Vegas, Jason performs over 300 live shows every year at venues world-wide. Widely considered one of the most original and gifted sleight of hand artists in the world, Jason has been featured performing magic on TV shows such as the CW's Masters of Illusion, Wake Up with CW, Access, Today, In Search of Magic, and more. 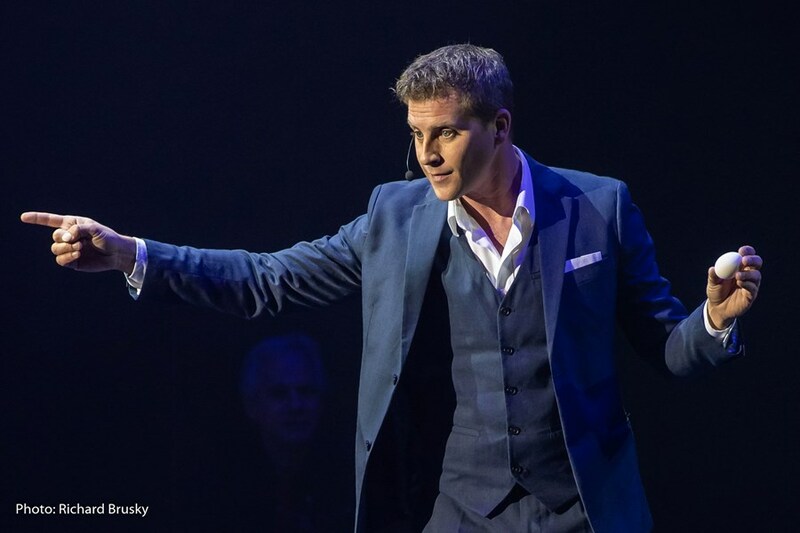 Most recently starring in the "Masters of Illusion" stage show at Bally's in the iconic Jubilee Theater on the Vegas Strip and host of the documentary series In Search of Magic, Jason performs his one of a kind magic on tour, on television, and at select corporate and private events. 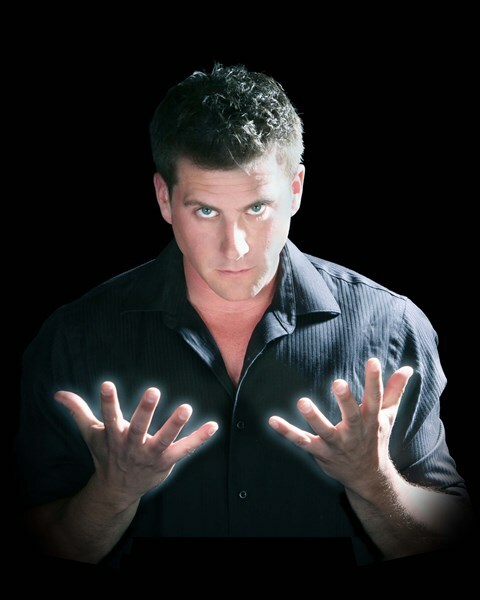 Whether you're seeking strolling magic, a stand up parlor show, or grand illusion show to entertain family and friends, strolling magic to impress your VIPs, or an exciting large scale stage show, Jason will provide unforgettable entertainment that will be the highlight of your event. Jason was AMAZING! We were looking to book a closeup magician for our three corporate events in Las Vegas, as an ice breaker and entertainment for our guests. Coming from out of town, its nearly impossible to know what you may get. I would not hesitate to recommend Jason, and he exceeded all expectations! His magic was literally mind blowing! His personality was engaging, and he added just the right amount of humor to the room. A gifted magician, his tricks were the talk of the show! He was reliable, and arrived early, as well as exceptional support from his office, on booking. We would not hesitate to book him for future events. Jason was mind blowing! He is the very best magician and a delightful person. I hired him to wander amongst the guests and entertain them with close up magic, aaannnd he did!! They were beyond amazed. His illusions are startling and unique, his personality is so friendly, he was the perfect guest at the party. When asked him to stay longer he was able to accommodate the hosts. You have to hire Jason for your next event, you're missing out if you don't. Jason did such a great job and his performance was the perfect start to our company meeting. I arranged this at the last minute he was more than accommodating and willing to come in for an early morning start on a Monday morning. He performed his tricks and tied them in perfectly to our meeting themes. And he stunned us all with his collaborative card trick. We would definitely hire him again! Jason impressed the guests with his performance and was able to tailor his performance to our theme and adjust to issues that came up to continue with a very professional and fun show. I would recommend him to anyone looking for a talented magician. I needed an entertainer that could work the room, mingling with small groups without upsetting the networking between my clients.Jason,was amazing he met with everyone preforming his slight of hand tricks flawlessly. This is the second year that I worked with him and I will hire him next year! Jason is an all around very nice person and a GREAT magician! Jason Bird was perfect for my Mother's Birthday Party. We had a wide range of ages of our guests from kids to grandparents and he was fantastic with everyone. His performance was flawless and he was very entertaining. Great Personality. I would HIGHLY recommend Jason to anyone thinking of hiring a magician for a small or large event. We had a Birthday party for about 30 people and our original plan was to have him walk around and do some magic by each small group. We ended up with all 30 of us around the Firepit in the back yard and he asked me if he could change it up and just do one large show for over 45 minutes!!! He was incredible!!! Jason was all Class. Nothing was a problem, he captured the audience and engaged with everyone. I wouldn't think twice about hiring him again. A true gentleman and a fantastic entertainer. I hired Jason to come to our penthouse to entertain our guests during a pregame party. Our guests were amazed. He was loved by everyone as we wandered around to entertain guests. Highly recommended! Honestly- he should be charging more... he's wonderful! Jason Bird is the magician I've been wanting for years! We invited him to perform an intimate show for our VIPs. Instantly, he connected with everyone - charming, likable, polished, funny, charismatic. We couldn't wait to learn what was going to happen next. I've never seen magic like his. No one had. He made us laugh a fair bit of the time, but he also brought everyone a fair amount of goosebumps and chills. So cool. Not one thing he performed have we seen before. Book him while you still can- it actually took us awhile to find a date he was available. But totally worth it. His close up magic and big cinematic illusions are unforgettable. An overwhelmingly awesome experience. Jason helped me propose to my girlfriend at the Peppermill diner yesterday with an "impromptu" tableside magic show. He made her think he was part of the staff and she bought it the whole time. His tricks were jaw dropping. The final one had him turning a coin into an engagement ring, and she was utterly surprised and floored. Jason was so accommodating, and way cooler than you'd expect someone with his immense talent to be. 5 stars all around. If you're on the fence about booking Jason, you are crazy. Book him now! Thank you Jason for creating such a special moment that we'll never forget! Please note JASON BIRD | Illusionist - Magician will also travel to North Las Vegas, The Lakes, Henderson, Blue Diamond, Boulder City, Jean, Indian Springs, Overton, Dolan Springs, Moapa, Logandale, Tecopa, Pahrump.